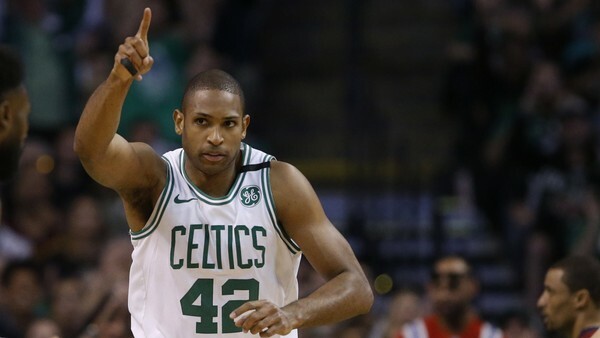 Should Al Horford remain a Celtic after this season? This season will be a time of decision for Al Horford and the Boston Celtics. Al will earn $29 million this season and has a player option for $30 million next year. If he is willing to take a very large pay cut, Boston may do well to retain his services for several more years. Like most NBA players, Horford is an expert in fitness and recovery -- becoming an elite professional athlete requires a certain amount of know-how. But Horford is part of a tier of players who know the value of durability. His regimen includes fitness certainly, but also diet, recovery and sleep. That regimen appears to be paying dividends: In the last four years, Horford has played 76, 82, 68 and 72 games (the gap in 2016-17 was due to a concussion), in addition to every playoff game during that span. "He knows what it takes to be successful, and he's very, very disciplined in his preparation both physically, mentally, skill-wise," Celtics assistant coach Jay Larranaga said. "He gets better every year. Al Horford is 32 on a team full of young 20-somethings. Why are the Celtics still so excited about his future? Havlicek played 16 seasons for the Celtics, retiring at the age of 38. He admitted that had he known that Larry Bird was going to be so good he might have played several more years. Al and Hondo are more alike than most would think at first glance. Horford will be 33 years old at the end of this upcoming season. He is the oldest player on the team but looks like he has a few more years in the League left in him. He has made some good money on past contracts, and if the future remains bright for the Celtics, he may be wise to pick up his option for the 2019-20 season and work a deal for at least one more season beyond that. Al brings more to Boston that just his all-around game. He adds stability both on and off the court, particularly for younger guys like Marcus Smart and Robert Williams, just like Havlicek may have done for Larry Bird and Kevin McHale had he stuck around. Gonna be an interesting season!